I guess you`re here because you want to know what is viral cash app and if it`s worth your time or investing money on the program. I will be open and leave you to decide after you`ve read to the last of this post but to me, Viral Cash App is a product that the owner and his affiliates are the ones happy with, affiliates because they are making commissions and the owner? Well, he`s created another below average product. If you want to know what is viral cash app about, keep reading and at the end, you`ll be glad you landed here first before investing money to purchase viral cash app. Matthew Neer has come out with his new money making scheme called Viral Cash App. It lets you earn yourself a passive income without the hassles of a hectic or a stressful job. Matthew claims that the app can make you millions within a day. However, it just shows a simple and proven way to make money through watching and sharing the viral video contents. Matthew Neer is a real person which is a good thing. Usually, programs such as these use paid actors for their websites. He is a well-known internet marketer. This is not his first money making program. He has previously designed and developed many products and programs in the past. Viral Cash App program is based on the viral video contents. This App does not deal or have anything to do with MLM, paid surveys, or cryptocurrencies. The app does not require you to install any software. Nor does it need you to figure out the setup or its configuration. It is a cloud-based app. You need to create yourself an account on that app and log in to your profile. The next step is to get ready to generate profits which are done by sharing exciting and entertaining video clips. Viral Cash App claims to use an innovative technology which can automatically generate and drive traffic to your website. Viral Cash App claims that it uses an automated process. But you still need to set up your account according to your needs to get started. Want to create an account then click here. The use of an automated traffic generation process and monetization technology, the Viral Cash App creates custom pages using the viral videos of other people. When the videos you post gain enough views, you get paid (or as it claims). Viral Cash App is a cloud-based software application which builds the web pages that are hosting viral content. These videos are usually funny videos. These videos are supposed to go viral so that you can earn commissions from the display ads you used in these videos. There are no affiliates or any paid marketing schemes are involved. It is misleading. To have customers, you first need traffic to your website. The online traffic is either paid or free. Viral cash App promises as much free traffic as you want. But it is only a promise without any results. Getting free organic traffic with Viral Cash App is not going to happen because all you are doing through this program is sharing other people’s video. You are not using any unique content which can get you ranked high in search engines via Search Engine Optimization (SEO). The only traffic you may be able to attract will be from social media. This traffic also gets attracted through paid ads on social media channels. The earning potential is extremely low. Viral Cash App uses Display Ads as the main strategy for monetizing the videos that you share. It is done with the help of Google Adsense which helps you in incorporating these Ads into your videos or website. The problem with Google Adsense is that it is very hard to get approved and the earning is in cents. That means to make a decent income, you need a lot of traffic to turn these cents into hundreds of dollars. It is near impossible feat to accomplish with Viral Cash App. Not reliable regarding Affiliate Marketing. Viral Cash App teaches you how to incorporate the affiliate links into your videos and your website. To make money. Amazon Associates and ClickBank are the two major affiliate networks used. This method is not workable and bears no results as you need to provide relevant content to attract a targeted audience. You`ll do better with a website of your own selling affiliate products. Who Is Viral Cash App For? There are three qualifiers for the program. But anyone can join and try the program. Viral Cash App’s creator Matthew Neer intends to target the newcomers which is evident in the language used throughout the program. The creator is expecting them to not understand how things work to sell the program. The creator talks about making money by sharing videos. He tells you that people who make those viral videos earn 7 figures working hard. His app saves you the time and hard work as it is an automated process to make money.But if you`ve read Clickbank low-quality products complaints, viral cash app is one of those products. He explains the process in the video which is pretty simple. But anyone who`s been online long enough trying to make money knows there is no easy or quick money to be made online long term, otherwise, everyone will be working online. The costs of purchasing the program can be huge. The upsells could cost you over $500. With the low quality and unreliability of this product, the amount asked is insane. I know you`re now asking is viral cash app a scam? It is hard to flat out term this program a scam as it is listed on ClickBank a market place trusted by many. However, I would still not recommend it. There is a lot of misleading and manipulative tactics used to lure people in. The worst thing is that it is designed in such a way that it can easily fool someone who is a complete newcomer into programs such as this. The method explained seems legit in the program but the implementation is wrong and the results non-existent. Verdict: I Cannot recommend Viral Cash App. They used manipulative and misleading tactics to present the product hoping it will get you to buy the product, If you decide to purchase, know you will make very little or no money at all from viral cash app. 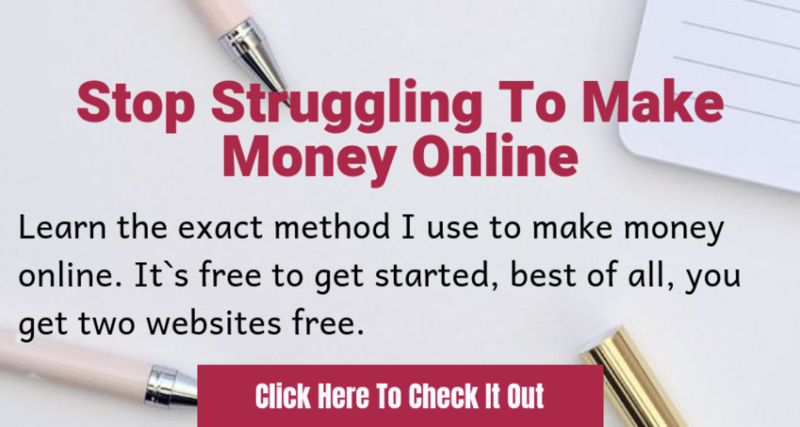 If you`re serious about making serious money online and ready to put in the work needed to succeed online, I invite you to join this free to get started program where you`ll learn legitimate ways to make money from your computer.